The Department of Business is the hub for two synergistic undergraduate business programs: Business Management and International Business. The Business Management program prepares students to lead transformational change across a variety of business types. International Business majors develop broad global and strategic perspectives on business issues rather than narrow functional perspectives. The Department of Business provides students with access to a high-quality education anchored in the liberal arts tradition and built on the design principles of responsible leadership, engaged experiential learning, global perspective and entrepreneurial and innovative thinking. Through our programs, we prepare students to lead meaningful lives and develop a productive career in a global business environment as a responsible leader and global citizen. Students will participate in a global experience to enhance their global perspective, increase their understanding of different cultures, and their overall world knowledge. Students will experience excellence in teaching and facilitated learning through our personalized environment, diverse teaching faculty and direct focus on students as individuals. Students will learn seminal leadership principles that can be used to lead others, individually and in groups. Students will develop skills related to working and leading teams by problem solving with real-life cases involving the use of business knowledge and ethical reasoning. Students will develop broad intellectual and professional skills through presentations of case studies and projects that focus on building written and oral communication expertise. Courses develop skills related to collecting relevant business information and data needed for challenging and productive careers in a global workforce. Partaking in both liberal area studies and professional business foundational courses, students will be encouraged and nurtured to enjoy fulfilling and meaningful lives. The department’s major programs include area studies courses from a broad range of subjects that inspire innovative and entrepreneurial thinking in order to encourage personal self-development and broad civic improvement. Rollins offers a business education of the highest quality while allowing undergraduate students the opportunity to explore the breadth and richness of a liberal education. 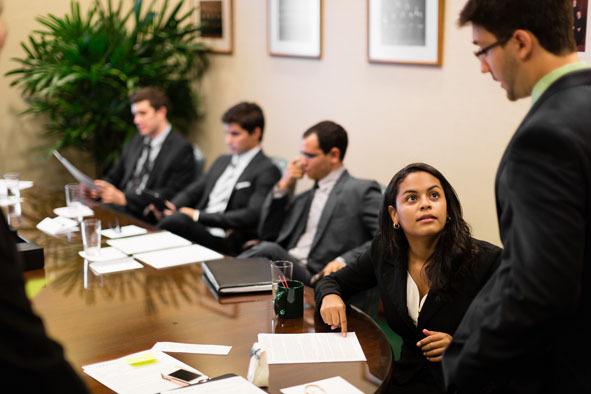 Unique to the College, Rollins’ Department of Business is a synergistic hub for two academic programs: Business Management and International Business. The Business Management major a participating member of the Principles for Responsible Management Education (PRME) initiative. The International Business major is a participating member of Consortium for Undergraduate International Business Education (CUIBE). Beyond business as usual. 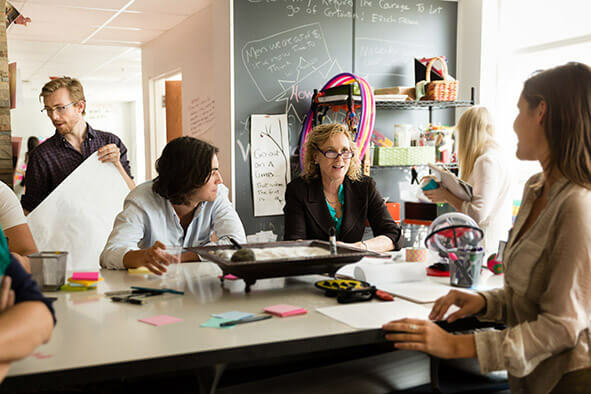 With an emphasis on sustainability and social responsibility, the Business Management program provides a solid foundation in business theory and practice, entrepreneurship, and innovation, preparing students to lead transformational change across a variety of business types. To compete in today's global market, organizations must understand the opportunities presented by globalization. 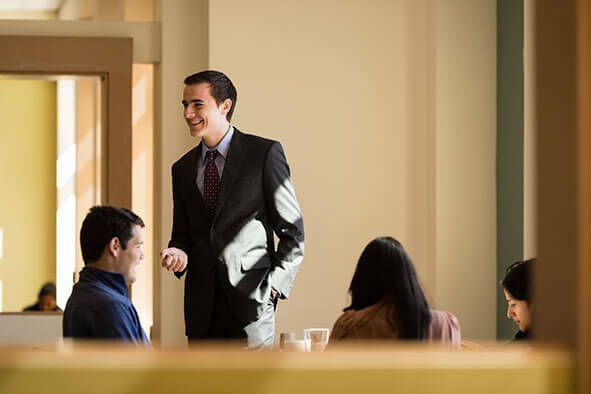 In the Rollins College International Business degree programs, students gain the experience to meet these challenges as they prepare for a variety of roles.